Hey there Paper Peeps! 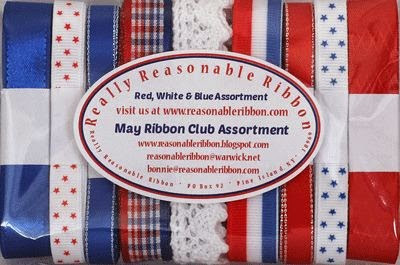 Ginny here to share a very fun and festive Patriotic Wall Hanging I created with the May Ribbon Club Red White and Blue Assortment. I started with a very sturdy base of canvas covered chipboard, then layered on paper and images from my Patriotic Creativity Kit. I topped it off with scrumptious poofy bows created with the Club Assortment. Last but not least I added glass glitter stars and Petaloo flowers. Love this project from Ginny!